Join the global community of medical and healthcare students and professionals who rely on Netter to optimize learning and clarify even the most difficult aspects of human anatomy. 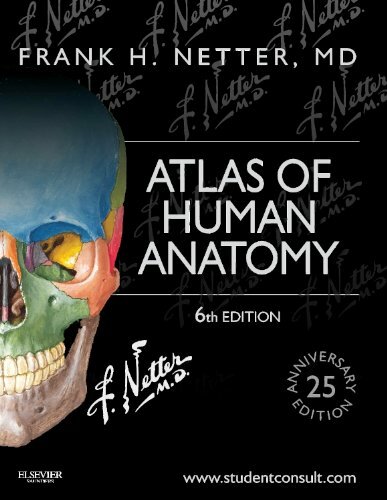 Comprehensive labeling uses the international anatomic standard terminology, Terminologia Anatomica, and every aspect of the Atlas is reviewed and overseen by clinical anatomy and anatomy education experts. Consulting Editors include: John T. Hansen, PhD; Brion Benninger, MD, MS; Jennifer Brueckner-Collins, PhD, Todd M. Hoagland, PhD, and R. Shane Tubbs, MS, PA-C, PhD. Student Consult access includes a suite of interactive tools and guides, including selected images formatted as self-testing exercises; dissection videos; multiple choice questions; illustrated axial cross-sections and scroll-throughs; Key Point Anatomy Guides; additional plates from previous editions; and more. If you have any questions about this product by Frank H Netter, contact us by completing and submitting the form below. If you are looking for a specif part number, please include it with your message.